[00:04] Welcome to the industrial talk podcast with Scott Mackenzie. 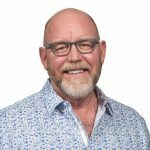 Scott is a passionate industry professional, dedicated to transferring, cutting edge industry focused innovations and trends while highlighting the men and women who keep the world moving. So put on your hardhat, grab your work boots and let's go. [00:21] Alright, it's another week. Thank you very much for joining this as the industrial talk podcast. My name is Scott Mackenzie. I think you know that by now. This is where we celebrate the human power of industry being the voice for industry this week was incredible. Got a great store to tell you. I can't wait to get the show on the road. We're going to be interviewing a young lady by the name of Theresa Swinton and she's with paradigm human performance. That para dig up. I know it's spelled that way, but it's a Paradigm. Human performance. She's amazing. She's from the UK. Incredible. So let's get this show on the road. Thank you once again for joining the industrial talk podcast. [01:02] got a lot to cover. I can't wait to get going. Thank you again. I really enjoy it. I get, I get the opportunity to really interview a lot of great people in this interview. Um, I'm just, I'm excited about sharing because we're all about that organization where there's a ton of things that we need to know within the industrial space in one. Of course, if you have the right team in place, do you have that organization hopping and popping and what you need to get going. But before we get going, of course, you know, we gotta get going on this, uh, this thing that, uh, we call, uh, you know, tailgate talk, tailgate talk number one. This is the story South Eastern University College of business. I had the wonderful opportunity to talk to them last night and, uh, really just share with them about digital marketing, about podcasting and about the exciting times that we live as professionals. [01:57] And what third, just getting ready to embark upon it. It was just a fabulous experience. Wonderful young professionals. I feel comfortable leaving this world in their hands because they just, we're so focused, so dedicated, wonderful teachers out there. It was such an honor, but if this man, if you're looking out there and of course you are because, well, it's on YouTube. They gave me a nice thank you card. I'm showing it in the camera of course, but my ugly mug on it, but nonetheless it is very, very nice. But the best part if you're looking out on YouTube to line up baby lion up, they gave me a short. It's a fantastic short. How generous are they? I mean, I mean, I, I was just so surprised that they did that. Once again, that southeastern university, this is their college of business. This is what they do. [02:50] And this thank you note goes on my right behind me because that's where all my thank you notes in special, uh, writings go. So right there man. I'm just so happy if that was such a wonderful experience. Great. Great young people. Number two. Okay. Over the past, I think couple of times. So we've been talking about this learning management system and it really is focused on the industrial platform and uh, it takes into consideration putting down five categories. One, of course leadership too. We're talking about the financial side, three operations for what I'm passionate about, what I am always talking about, and that's filling that funnel, that sales, marketing and business development. And the fifth one is technology. How do you do more with less? What technology exists out there? What we're going to be doing is we're going to be taken all of these incredible interviews that we've had on the industrial talk podcast. [03:46] We're going to put them in and we're going to create A. Well, a system of education. We call it the industrial academy. It's out there, um, but we're still sort of putting a little meat on the bones there. So stay tuned for that because I know I'm pretty excited about it and I gotta tell you it's such an honor to be able to have individuals with such incredible caliber of skills, uh, being a part of that. So stay tuned. Number three, okay. If you're out there on YouTube, right? If you're out there on YouTube and you're looking at my ugly mug because it is ugly, don't get me wrong. I am very proud of the fact that I'm ugly. And that's why I do this. So I go to district donut. This is industrial approved food district donuts. Now there's one in New Orleans and there's one in baton rouge. [04:31] I'm not sure if there's a, there might be another one out there, but I go to the one in Baton Rouge and um, every time I go, no, I get coffee there, but I look at their donuts and onto the YouTube channel. You can see, I don't know which side it is on, but a maple bacon, Maple Bacon donut. And then the other one right next to it. Chocolate milk. Industrial approved food. Yeah, that's a check because I can't tell you. I mean, it's awesome. It's awesome. And they do a great job and they're very happy to be able to provide that quality of food. So let's get on with the interview right now. This is Teresa Swinton. So Teresa came through me, I think on LinkedIn, which is a powerful platform if you want to get to know a lot of good people. And uh, she founded a paradigm, human performance. [05:22] And uh, what a delight and a. she's got tremendous street cred when it comes to talking about what she does with this organization and how this organization can truly consider it or transform your business, your team, whatever it might be, but she is out there. 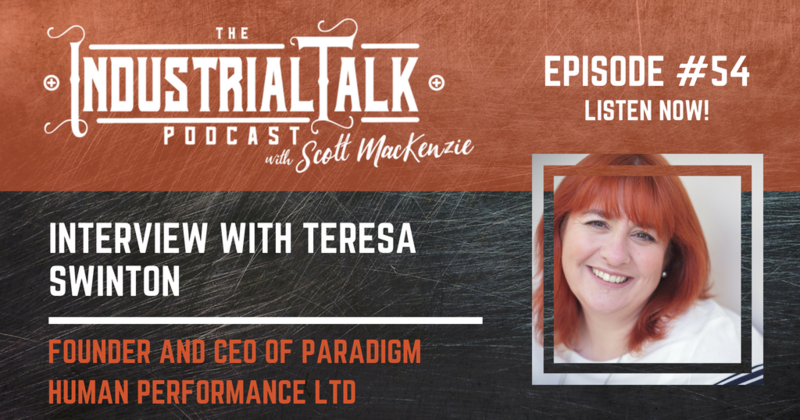 She's in the UK, but, uh, she's got some fingers that are going all the way over here in the North America area, so go out and, and, and I can't, I'm having a hard time finding her on, on LinkedIn, but it's with paradigm, human performance, not Teresa per se, but paradigm human performance. So let's get going. I'd like to introduce you to Theresa Swinton and she's the founder and CEO of paradigm human performance. All right. Welcome to the industrial talk podcast. Thank you very much once again for joining. I really appreciate it. You know, this is where we highlight the professionals within the industrial space. And you know, this interview. I'm really excited. She's a delight. She's amazing. We've been talking offline and uh, we've had some good laughs, so I'm really excited. Hey Teresa. Welcome. Welcome to the industrial talk podcast. This is Teresa Swinton. [06:38] I'm very well, thank you. And you're coming from the UK, right? Yes, I am. Yes. Oh, I love technology because we can do this and it sounds right. Real time and all that fun stuff. So I'm really pretty excited about that. I know you're busy and you just came back from holiday and so you probably have got a stack of work, but you've, you've found time to be on the industrial talk podcast for our listeners and I appreciate that. Let's, uh, you know, I'm, I'm looking at, uh, definitely your statute on LinkedIn, but instead of me reading it off, why don't you give us information on, on who you are and where you came from, a little background so that the listeners understand why you are such an industrial pro. [07:21] Yeah, sure. Um, so I'm Theresa Swinton as you said, and I'm the CEO and founder of paradigm human performance. Are you sure? It's paradigm? I am absolutely positive. Not Power. It's applied parodic. I know that paradigm guys, paradigm, everybody. It's paradise, not paradise go. So, um, I started a paradigm human performance, um, in March 2017, so we're just over a year old. Um, and that was to introduce what we call human and organizational performance improvement to organizations in the UK and across Europe. Uh, prior to that I worked for one of the big six UK energy suppliers, uh, where I was a human performance and nuclear professionalism manager. Uh, and prior to that I've spent time in the rail industry and construction. I'm a HV distribution and so on and so forth, folks in operational rose as project management or operations management. Uh, and then more laterally moving into a occasional health and safety leadership and being a practitioner at some coal and nuclear powered power stations. [08:45] You know, what, what fascinates me about you, Teresa, is the fact that you had a pretty sound job. You had your classic career, but you decided to go out on your own. What, why, why did, what, what compels you to go out on your own and, and blaze your own trail. [09:02] Basically, Scott, what happened was, uh, as, as happens in a lot of organizations, large, large organizations that was yet another restructure coming up. And um, I kinda thought, you know, there's, there's more that I can do outside of this organization with what I know I'm human performance. I'd been working in at that point, just sort of seven or eight years was really exciting to me, but I could see that there were organizations outside of the, of nuclear industry, outside of aviation and the space exploration that can really benefit from this stuff, this knowledge and these tools and techniques that I was using and implementing in these big blue chip organizations. And I'm really passionate about what I do. So the opportunity arose and I grabbed it with both hands, rarely and the rest is history. [09:57] So when, when you say benefit, now it because I, I, there are a lot of, I don't know, maybe let's say catchwords out there within the industrial area and, and, and tell me and the listeners what, what you mean by human performance, like I mean and organizational performance. What, what are you trying to accomplish with that? [10:23] So human performance is about looking at the, the way that the person in the organization is susceptible to make in human error. We know from research done that humans on average make around about five hours per hour. Yeah, yeah. I wish I could say that. I wish my stat was that low. [10:49] Oh, I'm always way above average. Everything I do. So we excel at errors. So. So when you take that into the mix of the work environment, the majority of those errors thankfully are very little consequences or no consequences at all. In fact, we don't even know we've made them the majority of the time, but clearly some of those arrows have the potential to have a massive impact, negative impact on the organizations that they work for. And so human performance helps the organization to look at the way that they set their people to work in order to determine whether they're setting up to setting them up to fail or succeed. And fortunately for us, there are some clues that human error, human error is, um, we can predict it because humans are kind of predictable. We will are, we can predict where human error will occur, why it will occur on what the conditions are in which it can thrive. [11:53] We can help organizations to identify these kinds of, what I call perfect storm situations where people are likely to make an Arrow that is likely to result in an unwanted or negative outcome for the organization. Now, typically we start with an organization looking at their health and safety performance. Uh, and very often new clients who contact us after they've had an incident, it could be a repeat incident and they're scratching their heads thinking, well, what else can we do to address this and prevent it happening again? We, we thought we'd done everything. Um, so, so that, that's where we normally step in with a new client, a new organization. But of course, human error doesn't just result in unwanted safety outcomes, accidents and incidents. So very often what we find is when we start to work with an organization, we very quickly are looking at how human error can contribute to a loss productivity, a reputation damage to the organization. Quality of product can be impacted. So we tend to move very quickly right across the organization to look at the types of errors that are being made by all of the people that have an impact on all of the organization. Safety is tends to be our primary focus. [13:15] Yeah. But, but once again, errors are a result. Also can be a financial impact, could be a, you know, credibility, impact, whatever it might be, especially in this time of digital marketing. And that information can go out to the world in a matter of a jet second. So, so when, when let's say I have this issue, I, I'm a company, I come to you and I go, man, I've had this repeat issue and, and I need some sort of a root cause. Is that really short of where you're going? And saying I need a, I need to stop this problem. I need a root cause. Tell me what's going on. I can't, I can't solve it. Is that what, what happens? [13:50] Well, I think that's probably the starting point of wearing a lot of companies struggle because they are sometimes looking for a single root cause. Um, but the reality is that there's very rarely just one group, cause there are very often a number of causal factors and what we we call latent organizational weaknesses or latent conditions that sit on detected in the organization systems and its culture and its leadership behaviors that very often contribute to these events and what we see when we look at the way that our clients and in any organization investigates these events. We very often see that they stop at the human error and they call that the root cause. Of course what we do is we help them to understand the conditions in which human error thrives. So we make sure an organization digs beneath the human error to find out what drove the behavior, why did it make sense for the individual to do the thing they did at that time, which then resulted in my. [14:58] Let me ask you this, so that's great. Don't get me wrong. I understand. That makes sense. Companies need to do that and it's always probably a continuous battle just because culture's just ebb and flow and fluctuated, whatever it might be, but how does what you do and how you focus on the information and, and evaluate an organization, how does your stuff, your approach differ from other firms that sort of provide similar services. [15:33] So what we do in terms of human performance is we look at, we try to give our clients a new get this word paradigm. We tried to help them understand the environment in which their people are working and we introduced them to some theory called the drift model and the model talks about a drift away from our standard. So as a leadership team, we set standards for our people to work on. Then typically over a period of time, those standards get corroded through a number of reasons. It could be a poor leadership. Behaviors might be a conflict and objectives for the organization. It could be that the procedures that work is required to work with are inadequate or they don't have any procedures, could be, um, bad rules, things like that, that actually results in. They drive the behavior of the worker away from the standard. [16:32] What we very often find is that organizations, typical responses to what we call fix the worker, so they'll put them through retraining. They'll write more closes in a procedure, they'll tell them to pay more attention, uh, you know, care more in other words. And so those things don't fix those things, don't fix the problem. What we have to do is get the organization to understand that actually the human is working with the flawed systems that the organization has and all of these other factors in order to create safety out of them, which is why we don't have as many accidents or incidents as we potentially could have. Typically in this day and age, we performed really well. When it comes to safety, we don't injure too many people. We don't have too much damage in our organizations. So really, um, where we differ is we help an organization to fix the things that are within its power to fix as opposed to just simply focusing on fixing the worker. [17:41] So what you're doing is you're taking a step back, you're looking at the organization are saying, Hey, I'm a human being and I'm going to follow what procedures are in and, and also whatever the culture it is, you know, I'm Joe here says that I need to turn a wrench this way, whatever. It might be a simple oversimplifying it, but what I'm doing is me as a person, I'm just sort of listening to maybe the people around who have been doing it for many, many years who've been following somewhat the procedures in place. What you're saying is that I'm going to look at upstream a little bit and then be able to say those are flawed. Let's modify it and then be able to communicate that to the people in the field. [19:25] one thing, you're going to have to have a real conversation, a real conversation with leadership and say, hey guys, I'm. You're not, your procedure says this, but you're setting up your employees for failure. [19:39] Absolutely. Absolutely. So, you know, we've, we've all been operational leaders and managers and I know you have, but how many times if you, you know, there's been a rush job on over the weekend or a piece of kit has gone down that you really needed to complete or fulfill a requirement for a client and you kind of, uh, you know, say to normally your number one guy, uh, you know, we really need to get this job done. This is going to have a huge impact on us as an organization. And you'd go out on a Friday night, you closed the office door, he come back in on the Monday morning, I'm miraculously, the job has been done and the client has received disorder or the work's been completed. And as a leader we celebrate and we get the good guy in and we say, oh, that was a great job. Well done. [21:01] because if we just simply say to the guys, follow the procedure in future, then actually we can be in a whole heap of trouble and in fact, if you think about some of the industrial actions that our unions tape, when they introduce the work to rule what happens, the whole place comes to a halt. Nothing gets done. So yeah, it's, it's there for. So to say, oh well we're going to be taking a break. You don't want Teresa. You know what I want to talk about on the other side of this. I want to, I want to talk about how you define success, what's important to you and and I've got some questions specifically around. Yeah, okay, that's all great and good, but when there's a firestorm up, something going on, how do you maintain that level of continuity and, and troll in that firefight. [21:50] So thank you very much for joining the industrial talk podcast. We will be right back. You're listening to the industrial talk podcast network, right? The industrial talk podcast has a new sponsored by the name of a s, g energy. Now this company helps private companies as well as public organizations of all sizes, reduce energy costs through the use of commercial led lighting, technology and electrical services. Now you know me, I'm a big fan of led just because. Well, first off I don't have to change the lights, but add on a commercial basis. Oh my gosh. The energy savings is phenomenal. The reduction in maintenance cost, phenomenal. Return on investment quick. It's, it's, it's incredible. And the environmental benefits self explanatory. So you have any questions about led commercial lighting? You need to check out my friends at FSG energy, LLC.com. Find out more because they know what they're doing, so check them out. [23:46] to me and so what we're going to do for all of the listeners out there as you, as we go through this, I think that that's an incredible model that you got to look at, download it. It'll be a part of her podcasts thing on my website at industrial doc talk, God at Industrial Talk Dot Com. And um, you'll download it there and uh, I'm sure that'll help you out. So anyway, we, we sort of laid the foundation for this segment and I'm really intrigued because I've been out there in the field and all hell is breaking loose and things just got to get done to get that asset back up and running. And, you know, unfortunately there are many companies that take shortcuts to get things done. How do you, as a provider of these services and as a practitioner, um, you know, ensure that that is going to go continue on. [24:44] So is, there's no silver bullet and quick fix I think is really important to start by saying that. But what, what we do is we try to get an organization to think about the things that can go wrong and planned for them. So some of your listeners may have heard of, um, a high reliability organizations who are really focused on failure. So they're constantly planning for failure. So what we do is we introduced some tools and techniques to our customers, one of which is, um, something called appreciative inquiry. Now, an offer an organization typically learns from its errors. When things have gone bad, when things have gone wrong, they look back and, uh, they look back and see why it went wrong. And very often what they do in that circumstances that will apply something we call hindsight bias. So it's very easy to look back at something that went wrong and be able to say, oh, well, we could've seen that coming. [25:46] What we do is we teach organizations how to learn from successful work because based on the theory of human performance, what we say is that where work is completed continually successfully, it's likely that that is where people have already found a workaround. They already know the corners to Qa, they already know how to work well despite floor two defenses. So it's kind of a slow journey, but it teaches organizations to plan them for the things that can go wrong. Appreciative inquiry is about getting the learning groups together, looking at repeatedly successful work and really interrogate in that to say, well, why does that piece of work goes so well? And of course the benefit of that as well is that it's easy to repeat successful behaviors, um, but it's more difficult to correct on the successful behaviors. You know, the things that have already gone wrong, unfortunately I've already gone wrong, but by virtue of the fact that the majority of the stuff that we do in our organizations goes well, it goes right. So let's understand why that happens so that we compete repeating those things over and over again. [27:31] the purpose of the appreciative inquiry outside of the fact that I don't understand or how to spell appreciative. I just liked the word itself. You can call it, we called it, we, we've been doing this for a number of years and there's a, there's a relatively new concept that's coming around at the moment and it's called safety differently to um, a gentleman from Brisbane to Sydney decker. I do. Um, if you haven't come across so strongly suggest that you are Google and look at some Sydney and Sydney's work and read some books. [28:31] appreciative inquiry is the opportunity for organizations to look at that successful work and you're absolutely right, you've hit the nail on the head. What will come out of those learning groups is while, yeah, we do this job this way because that's we, you know, we've upgraded the plans but we didn't upgrade the procedure or actually we've changed the product. Uh, um, so we have to do some extra processing with it, but actually we haven't updated the kit that we need. So all of those things come out and you're absolutely right. That's the point at which you say, well, okay, well we need to amend the written procedure to match the way we're doing the job. If it's the safest way. So that's exactly what the purpose of that appreciative inquiry is. Because then what you can also start to do is say, well, what can go wrong? [29:22] What has gone wrong in the past? What did we do and what could go wrong? What's the worst thing that could happen while we're conducting this activity or doing this task? And how can we make sure those human errors don't occur? So how can we avoid the perfect storm of conditions? How can we, what we call error precursors, and how can we remove them? How can we take away those error likely situations that put people in the place where they can make those errors, which then result in those unwanted outcomes. That's the whole purpose of appreciative inquiry. [29:58] I'll tell you, I'll live in Real-ville right? And, and I know that this because it's going to take a long time and I know that today's great today we're following all of those wonderful procedures and, and that appreciative inquiry or whatever. I mean, that's great. It has to be driven by the top. If it's not driven by the top, everybody will just go back into their old activities, whatever it might be, it just. And, and you won't have that loop back of saying, no, we did it this way and that's why this is good. And that's why we're just constantly improving. Real bill says that's not the case. [30:37] Absolutely. And it's the biggest challenge. Very often when, when we work with our customers, it's the biggest challenge is to get that senior leadership team on board, uh, that, that executive team, they really have to want this. They really have to believe it and they really have to believe that they have a role to play in improving this. Of course it's a real challenge because it's just easier to fire the worker or you know, send them back to learn how not to be an idiot school and I don't look anymore era classes. And, and of course, you know, those are quick fixes and it means that an organization, a leadership team can say, well, we tick that box, we did something, you know, we fired the jar or you know, um, we'll make sure that never happens again because we disciplined him or her, but it's not sustainable. [31:26] The next person that comes in is likely to make the similar error or to do the same thing because very often as we've said, it's driven by culture. It's driven by customer practice. So you're absolutely right. You have to get top leadership buy into these programs. And um, yeah, it, it takes balls of steel for sometimes for leadership team to look up and say, okay, look, we're gonna look at this, we're going to do this and we're going to take a new view of safety and how we drive safety in our organization. What I will say I'm scope because it is really important is that we, we're really learning about what some organizations called Black Swan events. Um, and another, um, uh, sort of, um, proponent of the human and organizational performance movement, if you like, in the US, well, to people, uh, uh, taught complain, um, who also has a podcast, obviously, obviously not as good as, as I'm, his is called pre accident investigation. [32:32] And he's also written, he's written some books on this subject matter at all. Um, those major catastrophes, those fatalities, um, those black swan events, uh, they hearken in all organizations and very often, um, we don't see them coming and they are sad, but facts of life and as organizations, what we, all we can do is look at through things like appreciative inquiry, through making sure we've got leadership buy in and we've created those really strong forms of communication up and down through the organization and across that mean that we can look at where these things can happen, what the likely situations are in which they're the car, and then learn how to fail safe. So we build resilience. We build redundancy into our systems. We build resilience into our processes and our procedures and our activities so that when we have a human error and we inevitably will five an hour per worker. [34:37] what's fascinating to me. And you bring it up and it, it happens. Every conversation that I have, it always gets down to that top leadership support. It just does. And, and things just naturally fall apart when that does not exist. And, and I mean that's across the board. If you want to have a safety culture, it's got to be driven by the top. If you want to have a reliability culture that's focused on up asset uptime, asset uptime, it's got to be driven by the top. And what you're talking about is an organization that you can't, you can't let your foot off the gas, you cannot back away and say, hey, we're all good. So how do you define success? How do you theresa defined success? [35:26] For me, success is when I walk into a construction site or a power station or a factory and I speak to the workers and they say, you know, our leaders really get it. They really understand this stuff and they listened to us. Um, and you know, we've got good procedures, we've got good processes, we've got good, uh, you know, standards of safety, our, our leaders, they really, they give a damn about us, they really care about us and we feel like we're contributing to the overall mission of this organization. And, and I know those are just, they're just soundbites. But actually there are very few organizations that you go into that you consistently hear those kinds of sound bites at all levels of the organization. So, so those are, those are the signs of success, um, that the, the workforce really feel ownership. It's really interesting as well. [36:30] I guess I take two views of leadership, so obviously when we're talking about the hierarchy of an organization at the top level, we've got the senior management team, but also when we work with an organization, what we do is we work really hard to identify not just the leaders who have got manager in their title because I guess we all know, don't we? That not all managers are leaders. Um, you know, and if you're a manager who's managing people and you look behind you and no one's following, then you're probably not a bloody leader. You're just a monetary. So me, leaders exist at every level in an organization. So are the thought leaders in your organization who is the woman or the man in a team of workers who determines what work gets done, how it gets done, when it gets done, and when we knock off today and go home because there will be those people exist right across every organization. [37:32] So as well as engaging your top management team and educating them about this new way, this new paradigm of human performance, you actually really have to engage those thought leaders as well. The people who are currently actually drive in the performance of your business, whether you know it or not. Now hopefully the majority of those four leaders are driving the performance of your business in a really positive way. But time and time again, we see them as the skeptical, militant people in sit in an organization who just repeated the same was it management? Don't listen. We've been telling them the things for years. Those are the, those are influential people in your organization, so you must get them bought in as well. [38:16] But you know what, you're on this podcast specifically, the, one of the reasons why the industrial talk podcast is outside of the fact that I'm passionate about what the industrial space does globally and, and how it impacts people. But really we're, we're here to change. We're here to, uh, change the industrial, you know, market for the better. If it's just one, fantastic, it's one. If it's two even better. [39:55] powerline human performance? Will I, my aspiration is that every person in the UK and Europe to start with a will be a who specializes in this area. So whether you're human factors, human and organizational. Yeah, four months. Human performance improvement, safety differently. Practitioner uses Paradigm Human Performance, the website as your connection point. I want to create a hub and the center of excellence to people who specialize in this industry and in this work and basically what I want a paradigm to become the real, the first stop shop, if you like, for anyone who's looking to learn more, to be educated or to get in touch with a practitioner or a consultant who is a or they're experienced in their industry or lives near them, but you know, geographically close by. But basically, yeah, that's what I see. I see paradigm being this hub center of excellence. Um, hopefully global, um, for people to come to and find a practitioner that they can work with to improve the organization. [41:06] That is a noble purpose. I like that a lot. So they can come to you and say, Hey Teresa, I can, I found you on LinkedIn. You got a, you got a website out there, where can they get ahold of you? So they can get, they can. I've looked at the website which is www dot [inaudible] paradigm. Haitch p.com. And that's p a r a, D I g m Dot d I m e do not spell it that way. That's d I g, m at the end of paradigm. Go or they can email me at Theresa at paradigm. HP Dot Com. They can also give us a call if they're in the UK. Um, then they can give us a call on zero. One six, zero, zero eight, eight, seven, two, two eight. Obviously if you're international you need to put a plus four, four and drop the zero in there. [42:50] today, you'll see that we are building our empire and of associates. Um, so we've got some associates in South Africa, we've got associates in America, we've got associates in Canada, we've got a number of associates in the UK. I were few and far between actually in the UK, in Europe. Hence me starting this organization. So yeah, you know, there, there's somebody on our website that you can connect with who will understand your industry, understand, understand your environment, and be able to introduce you to some of these concepts and theories. [43:56] um, this lady is no longer with us, but it's a note. So it's an older book called business as unusual and it's by a lady called Anita Roddick who was the founder of the body shop. Do you guys have the body shop in the state? Some. [44:32] that's, that's a book that's definitely worth checking out and it really is about the power of community. That's what that book speaks to. I'm really, that's what, that's what paradigm is a buyer. And then of course something I'm probably, your readers will have heard of this, the seven habits of highly effective people by Stephen Classic. Uh, absolutely. And you know, the, the big thing is start with the end in mind. So many organizations who fail to paint that picture accurately enough and therefore when they start on their journey, they ended up in a different place to where they intended. So. [45:10] Okay, so we're gonna wrap this up. What is your parting shot to the listeners? What, what pearls of wisdom can you provide the listeners of industrial talk podcast? [45:19] Uh, so, um, two are really, I'm going to share with you my first one is to say, be mindful as a leader of the shadow you cast. So some of the things that you say that you drive within your organization will not be explicit, there'll be implicit. So think of I, um, if everyone in your organization started mirroring your behaviors today, would that be a really good day at the office or a really bad one? So that's the first one I want to be mindful of the shadow that you cast on. And secondly, um, the, the other thing I would say is that human performance is relatively new if you're outside of the nuclear or the aviation type of industries. Um, so you get picked up books and there's a lot of theory out there. There are very few people you can come in and give you practical, tangible tools and techniques to actually implement this stuff. My advice to you is read everything you can get your hands on, but you know what? Whatever works for your organization, that's the way to do it. So go out there, find your own way through this. The majority of people were, you know, we're out there, we're finding our way through this. We're solving problems as we go. And, and don't be afraid to get out there and have a try and if it doesn't work, do you know what? Well that's just a fantastic opportunity for you to learn. Try again. Do something better. [46:46] Well Man, I'm inspired and I'm going to be. Friday is my day to live like Theresa. Ladies and gentlemen, you got to get out there and connect with Teresa Swinton. I think her message is fantastic. Her purpose is honorable. I think you need to at least reach out. We're going to get the and as I look at my notes, because I guarantee I would have that organizational, a thrift model. We're going to have that out on the industrial talk podcast website. That's industrial [inaudible] dot com and freezer. You were fantastic. An absolute delight. Thank you very much. Thank you for having me. I've really enjoyed it. A lot of fun. Hey listeners, stay tuned. We're going to be right back. We're going to close the show out. Thank you very much for joining the industrial talk podcast. We will be right back. You're listening to the industrial talk podcast network. [47:52] Alright, that was ladies and gentlemen, Teresa Swinton, she's with paradigm, human performance. You got to go out to LinkedIn. She's out there under paradigm, human performance, Cindra note connect with her. She's about solving problems. She is about making your organization a safer place. Most definitely. So go out, connect with her. She's a delight. She knows what she's talking about. Also, I'd like to reach out to those folks at Southeastern University College of business and thank you once again for allowing me the opportunity to speak to that organization. The future's bright for them. Thank you for the shirt. Thank you for the wonderful note. Lion up lying up. Big Time. So thank you very much. And then finally, you know how to get ahold of me. I'm out there on industrial talk dot Com. Got a LinkedIn, Scott MacKenzie find me, connect with me on their industrial talk. We're on Facebook, we're on all of the other platforms. Twitter, you know, it's all industrial talk. I would love to be able to hear from you and thank you. Thank you. From the bottom of my heart. I'm very humbled that you guys are joining the industrial talk podcast. Have a wonderful week, safe sound, and I will see you next week with another great interview from an industrial professional. So BC.